We’re delighted to announce the 9 recipients of this year’s Dry July NZ Trust Grant Program. 2,600 Dry Heroes gave up alcohol in support of Dry July in 2016, with money raised being allocated to the Grant Program. Cancer support organisations across the country were then invited to submit applications to benefit from these funds. Applications were capped at $30,000 but organisations could apply for more than one project. We received applications for 34 projects from 11 organisations, totalling $534,000. With the $260,000 available from this year’s campaign we’ve awarded funding to 22 projects. The Dry July NZ Trust assists cancer support organisations by providing funds for projects aimed at improving the wellbeing of people affected by cancer. Examples of eligible projects include entertainment systems, accommodation facility refurbishments, transportation to treatment, complementary therapy program costs, and improving public hospital facilities. The Dry July NZ Trust will again be raising funds for the Grant Program in 2017 with applications opening in September. For further information about the Grant Program in 2017, please contact Dry July on +61 2 9247 6691 or [email protected]. o	Sky ceiling for linear accelerator room - see photograph. 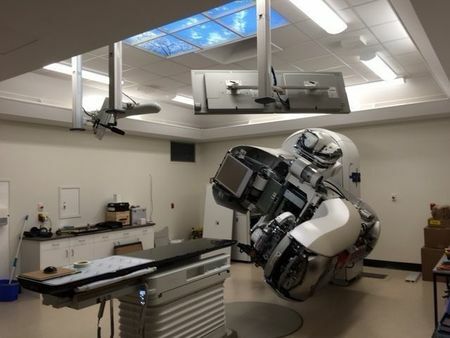 Waikato Regional Cancer Centre has completed installation of a sky ceiling in the Green Room, one of four bunkers housing linear accelerator machines for patients undergoing radiation therapy treatment. 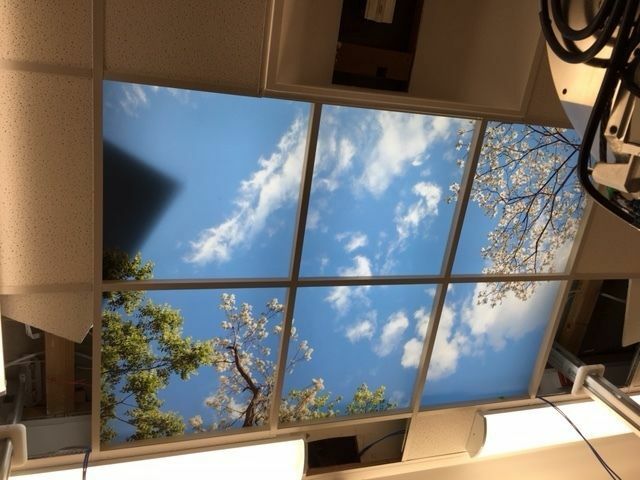 The ceiling should help distract patients during their treatment and make what can be a scary room a little friendlier. Cushla Tahana, a 36-year old mum from Rotorua, was one of the first patients to experience treatment in the refurbished Green Room. Earlier in 2016 her life was turned upside down after being diagnosed in January with grade 3 breast cancer. What followed was four months of chemotherapy, a double mastectomy and then radiation therapy. Cushla says she was fairly nervous coming to radiation for the first time. “I was coming out of my comfort zone into the unknown.” She says the radiation therapy staff made her feel more comfortable and made the experience easier, and the sky ceiling gave her something to focus on when she was lying on the treatment bed. Staff report a really positive reaction from many other patients too. 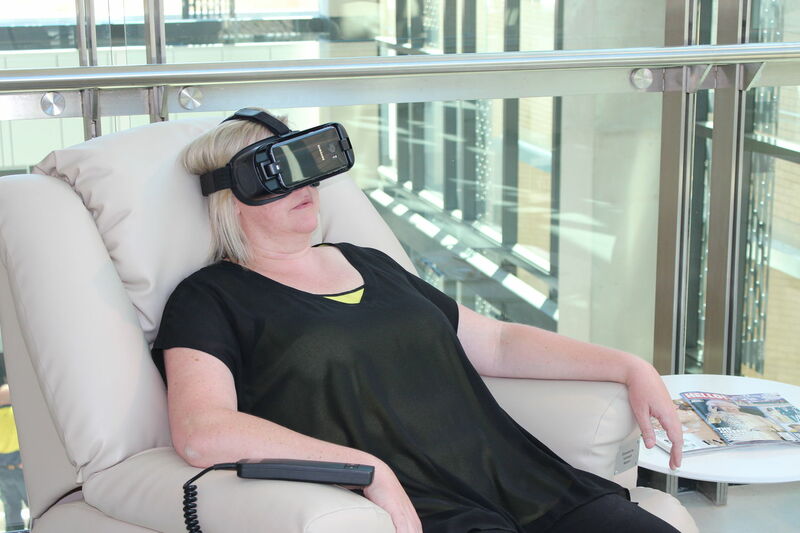 The whole idea is to provide a positive experience for patients during treatment that can last from 10 to 60 minutes. 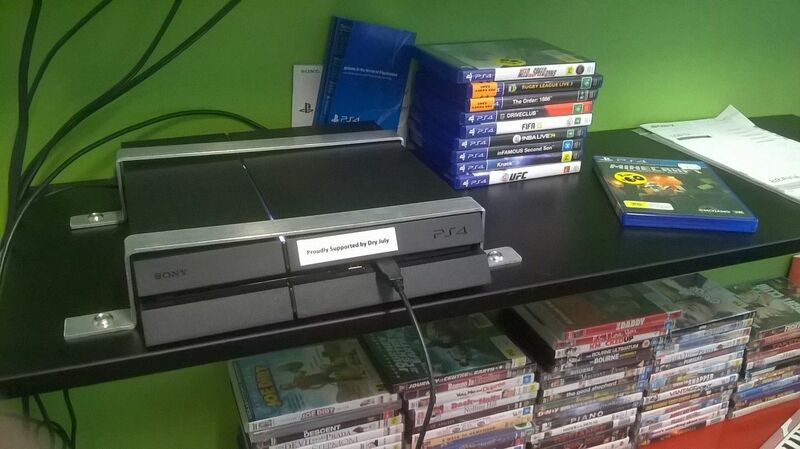 The Dry July Grant Program assisted Waikato Regional Cancer Centre in purchasing a PlayStation and 10 games for the Youth Pad (accessible to young adults undergoing cancer treatment. 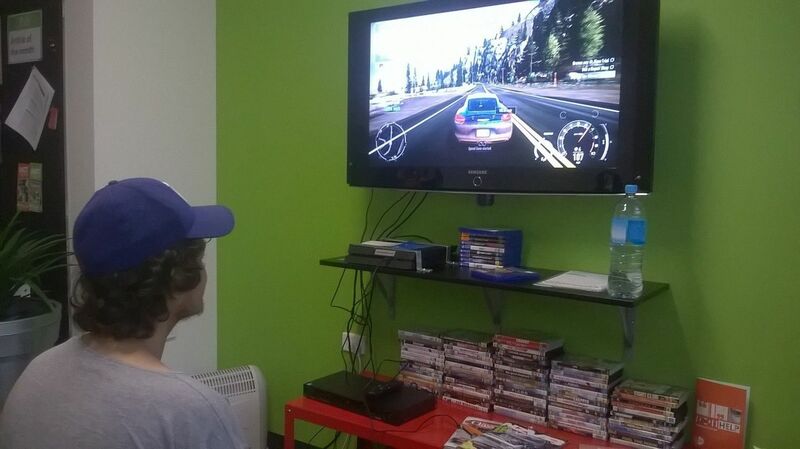 The Clinical Nurse Specialist said, "I have had awesome input in to what games to buy and be of benefit whilst an inpatient in M5 – and they have been very thankful for the kind donation of Dry July! Please find attached some photos of one very very happy boss!" We’re delighted to announce the 2015 recipient of the Dry July NZ Trust Grant Program. Waikato Regional Cancer Centre will use funds to install a sky ceiling in the centre’s linear accelerator room, purchase a uMagic massage chair for patients to use while waiting for treatment (pictured), and a PlayStation 4 system for the centre’s oncology lounge. As an additional option to nominating a beneficiary at sign-up, in 2015, DJs were invited for the first time to fundraise for the Dry July NZ Trust, with money raised being allocated to the Grant Program. Over 450 DJs chose this option raising over $36,000. The Dry July NZ Trust assists cancer support organisations by providing funds to implement projects and programs aimed at improving the wellbeing of cancer patients, their families and carers. Examples of projects funded include entertainment systems, transportation to treatment, information resources, and improving waiting and treatment area facilities. Southern Blood and Cancer Service will use funds raised by Dry July to create a more family friendly space in the whanau/family room for palliative patients, or for when there are large families caring for their loved ones. Furnishings to be purchased include couches (pull out for family to stay over), trestle table for family meals/celebrations, TV, installation of TV, painting of room, artworks, etc. 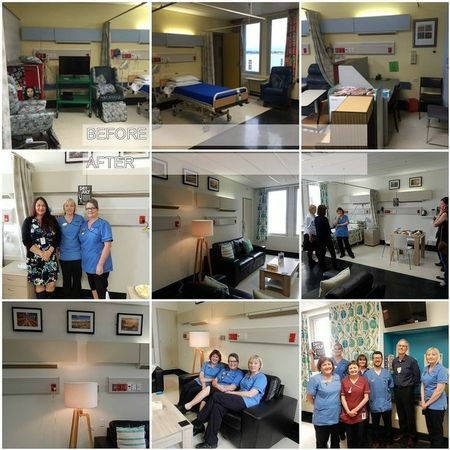 Funds will also go towards updating the patient waiting room in Oncology Haematology, by purchasing, for example, new comfortable seating, water filter, TV and electronic system to play either music or DVDs or treatment related information, new painting on the walls, artworks, or privacy screens. UPDATE: The whanau / family room refurbishments have completed (see 'after' photos below) and hospital staff celebrated the opening of the new room for palliative care patients on 17 October 2016 to much fanfare.